Deadzone: Outbreak brings with it two new factions – including the Nameless. 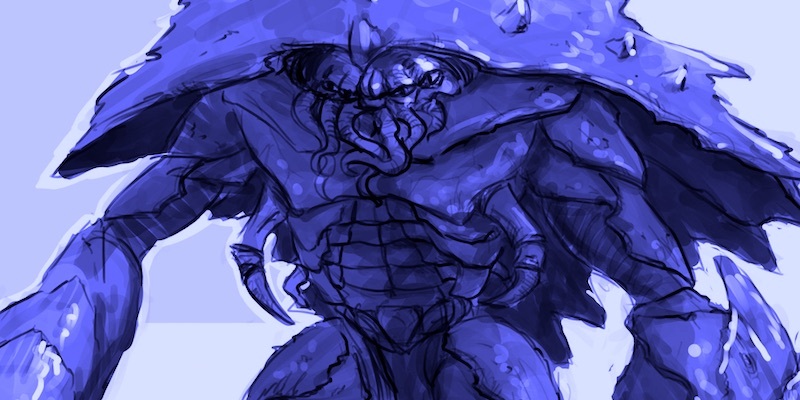 The semi-aquatic aliens armed are with powerful psychic attacks, and weaponry that uses arcane technology. They look like something out of a Lovecraft novel with lots of tentacles, sharp talons, and gnashing teeth. 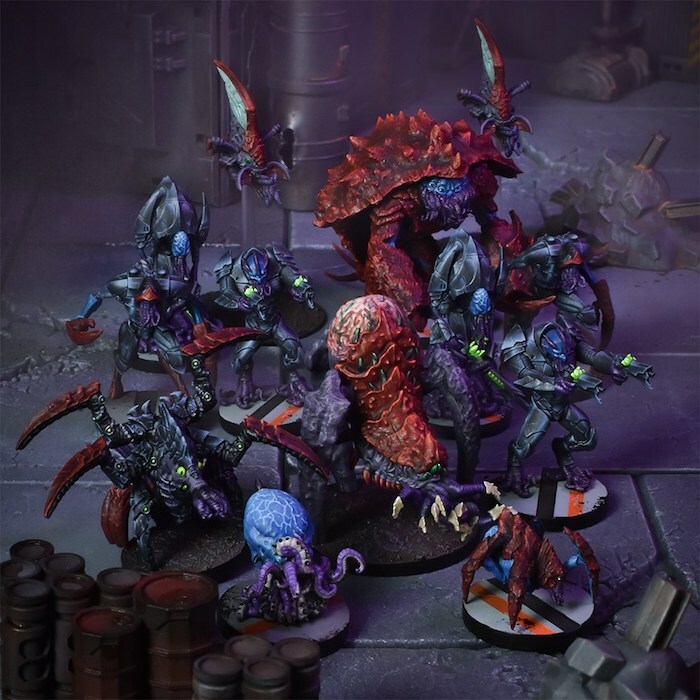 Let’s take a closer look at what this faction with Andy Sharp from the Deadzone Rules Committee as our guide. Psychotroid – this is your go-to leader, thanks to its Tactician (2). Although it has a reasonable chance of surviving combat, it’s best to keep it hidden so it can use its Psychic abilities without needing line of sight. The Psychotroid’s ‘splat’ is also pretty amazing. It can make models fall off buildings, leave combat (so they have to break away) and move them out of cover. The Fear – this leader is very good at shooting. Its ‘splat’ makes models stealthy (an ability unique to the Nameless), which means they can’t be targeted with a clear shot. 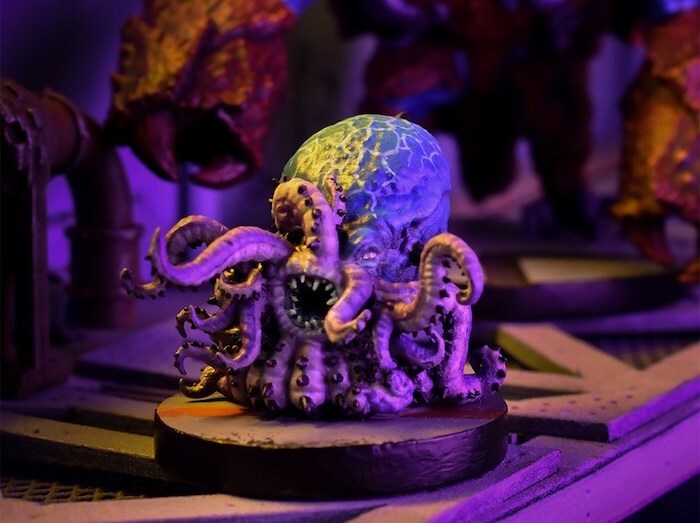 The Blight – an absolute beast in combat. The Blight’s ‘splat’ allows Corrosive Spittle to be given to any Nameless model (even if they don’t have a Shoot stat). Corrosive Spittle then causes It Burns. Although you’re unlikely to damage with the initial hit, setting fire to models is way more dangerous and potentially activates the target too. Inkers – keep your other units out of harm’s way from shooting armies by using Inkers to lay smokescreens across the field. They’re designed to be sent out to die, so don’t worry about keeping them alive. Caratid – fast and deadly to compliment their smaller brethren. Bathomite – half Strider, half artillery. This thing can do lots, with indirect fire, multiple shard attacks, psychic suppression, and it can even fight. It’s size 4 and has armour 3, so it will be hard to take down. However, it doesn’t come cheap once you start adding weapons. Goliath – OMG! The Goliath is huuuuuuge and is an absolute nightmare in combat. Yes, it can be seen absolutely everywhere on the battlefield, but it’s able to attack back with a range 2 attack and a new rule called Smash. This allows you to hit and pin a model but also move it one cube in any direction. This means you can pull it out of position or even into combat with yourself or another model. It’s worth noting the enemy will get the normal +1 bonus for moving into a new cube. 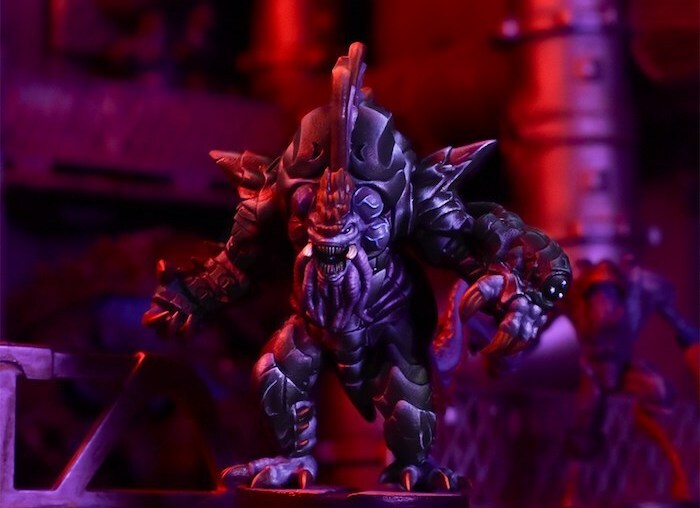 The Goliath is likely to become a bullet magnet, so while your opponent is ragging on the Goliath, you can be sneakily securing objectives with your smaller guys. 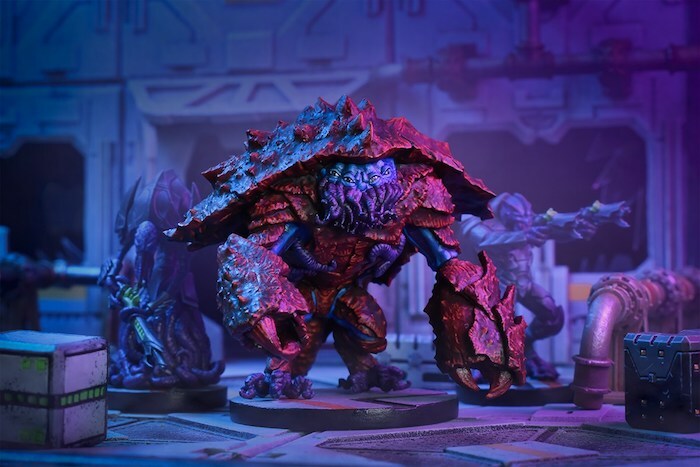 The Nameless faction starter is on pre-order now.